STARKVILLE, Miss. -- Cotton will not return to the throne as king of Mississippi's row crops, but the former monarch did provide one of the few bright spots in 2018 commodity value estimates. Agricultural economists with the Mississippi State University Extension Service predict cotton and rice will be the only row crops to increase in value this year. Prices and production pushed cotton up about 10 percent to $623 million, as it remains fourth among the state's 16 agricultural commodities. Rice is forecast at $117 million, an increase of 13 percent, for the ninth spot. 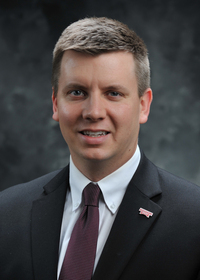 Extension agricultural economist Josh Maples said significant declines in prices of the state's larger commodities, primarily soybeans, made 2018 a challenging year. Soybeans remained the third leading commodity, behind poultry and forestry. Prices averaged around $8.60 per bushel, compared to $9.33 in 2017. Extension cotton specialist Darrin Dodds said 2018 acreage and yields were similar to last year’s, maybe slightly higher. Dodds said planting went well, followed by minor, weather-related challenges, but the biggest challenges came with frequent rains during harvest season. Extension grain specialist Erick Larson said muddy conditions during harvest will require significantly more field work at planting time next spring. 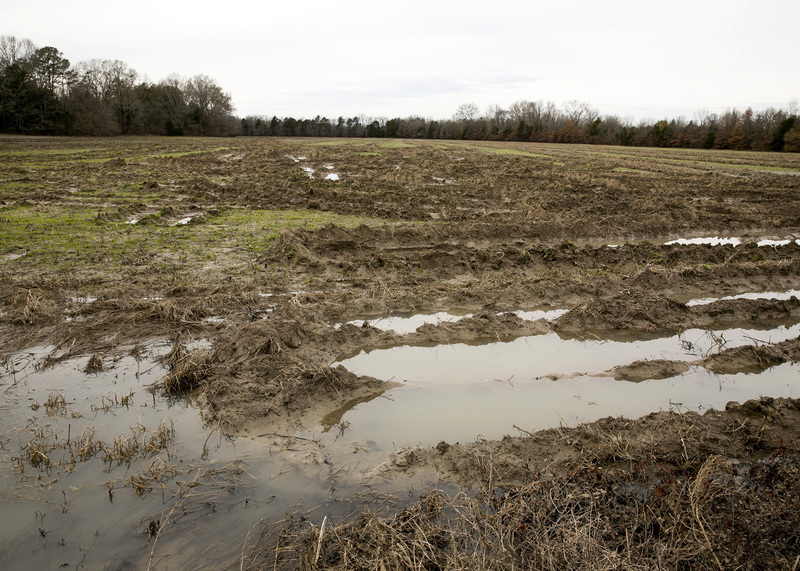 Fields harvested in the mud will require additional tillage to repair deep ruts and prepare fields for planting. Cool, rainy weather this winter will greatly restrict the soil’s opportunity to dry out enough to enable tillage before the spring. Larson said corn yields most likely will be slightly lower than in 2017, when growers averaged 188 bushels per acre. Corn is the state’s No. 5 ag commodity with an estimated value of $351 million. Extension soybean specialist Trent Irby said some soybeans are still in late-December fields. Irby added that harvest conditions contributed to seed quality issues. “Combine seed concerns with extreme harvest delays in some areas, and farmers had a very frustrating way to end the season,” he said. Extension rice specialist Bobby Golden said an abnormally warm May hampered many aspects of rice production, including water management and herbicide performance. “The abnormal heat in May led to many fields being flushed multiple times, and many postemergence herbicide applications had little activity, resulting in additional herbicide expense on much of the rice acres, especially those sown in late March to mid-April,” Golden said. State average rice yields are expected to be similar to 2017 at about 7,300 pounds per acre. Six other crops finished out the list of agronomic commodities. Sweet potatoes, ranked No. 8, has an estimated value of almost $118 million, and hay follows rice as the 10th highest valued crop with an estimated value of $106 million. Specialty crops, which include horticulture, fruits and nuts, lands at 11th place with a value of $104 million. Peanuts, No. 14, have a value of just under $19 million, wheat is valued at $12 million, and grain sorghum finishes the list with a value of $1.3 million.